Please select a size. 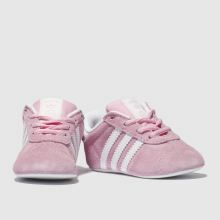 UK 1 - Low StockUK 2 - In StockUK 3 - Low StockUK 4 - Low Stock Please select a size. 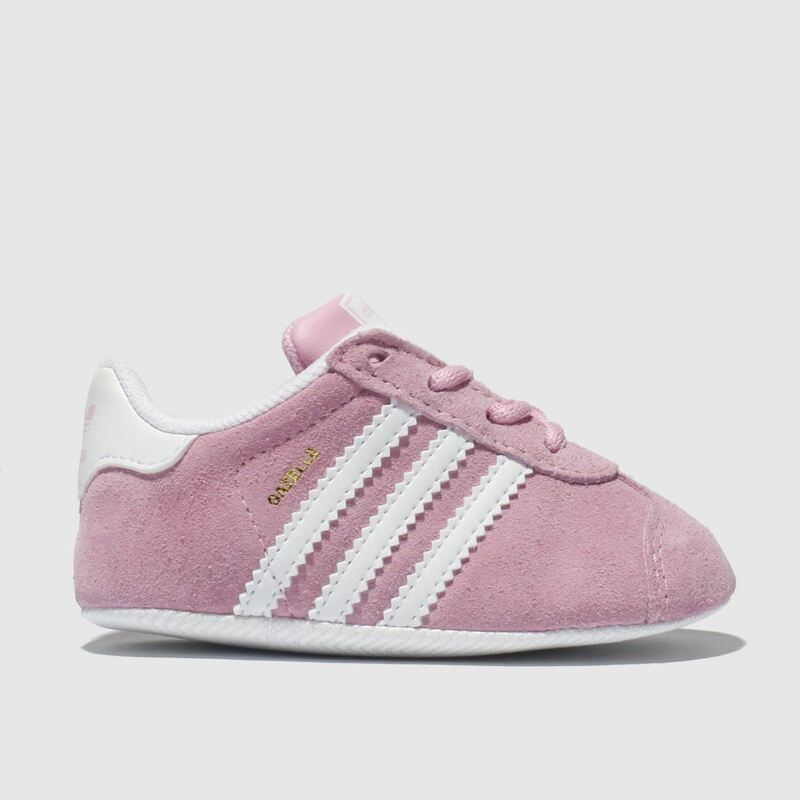 Get their footwear game looking strong from their very first steps with this miniature adidas Gazelle Crib shoe. 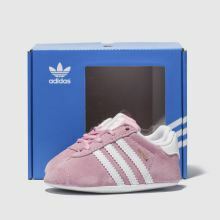 The sweet pink suede profile arrives for kids with classic foil branding and 3-Stripes while a soft anti-slip sole ensures maximum grip.